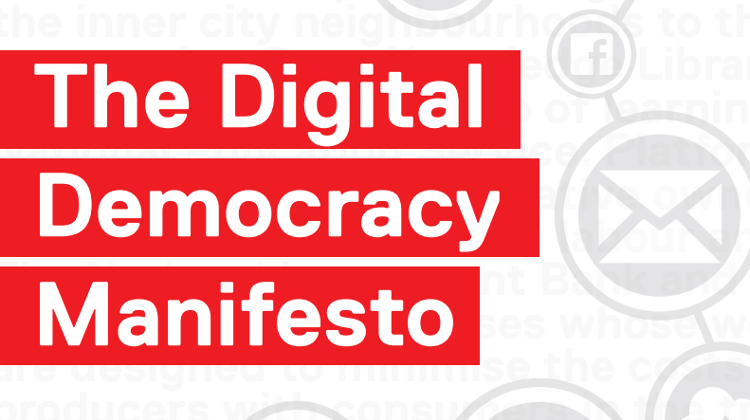 The Open Co-op welcomes the support for Platform Cooperatives outlined in Jeremy Corbyn’s Digital Democracy Manifesto (pdf). Recent Deliveroo and UberEats strikes highlight the importance of “the inalienable right of trade union membership” and the growing need for a “cooperative upgrade of the sharing economy”. We’re also very encouraged by the commitment to Open Source and Open Knowledge that runs throughout the document. As John Bevan put it on twitter there is “much mutual benefit to be unlocked by interplay of co-op & Open movements”, something we’ll explore in depth at the upcoming conference we’re organising: Open 2017: Platform Cooperatives. We hope the plans to roll out high speed internet via a “Universal Service Network” will build on the pioneering work of existing rural broadband co-ops, that “Digital Liberties” will mean an end to mass surveillance, and that the bold vision to “create a 21st century networked democracy where everybody can be a political decision-maker” will be as successful as Taiwan’s inspirational vTaiwan proect, led by their newly appointed Digital Minister Audrey Tang. Interesting article, just the link to the “inspirational vTaiwan proect” is broken.